Whether it is after a workout or a weekend at a festival we all encounter times when our joints just scream 'No more please!'. This soothing Sore Muscle Rub from Badger Balm is for just those times. Formulated with Cayenne Pepper a natural anti-inflammatory which blocks pain without negative side effects. Ginger cardamom rosemary and lemongrass essential oils soothe the muscles and joints. 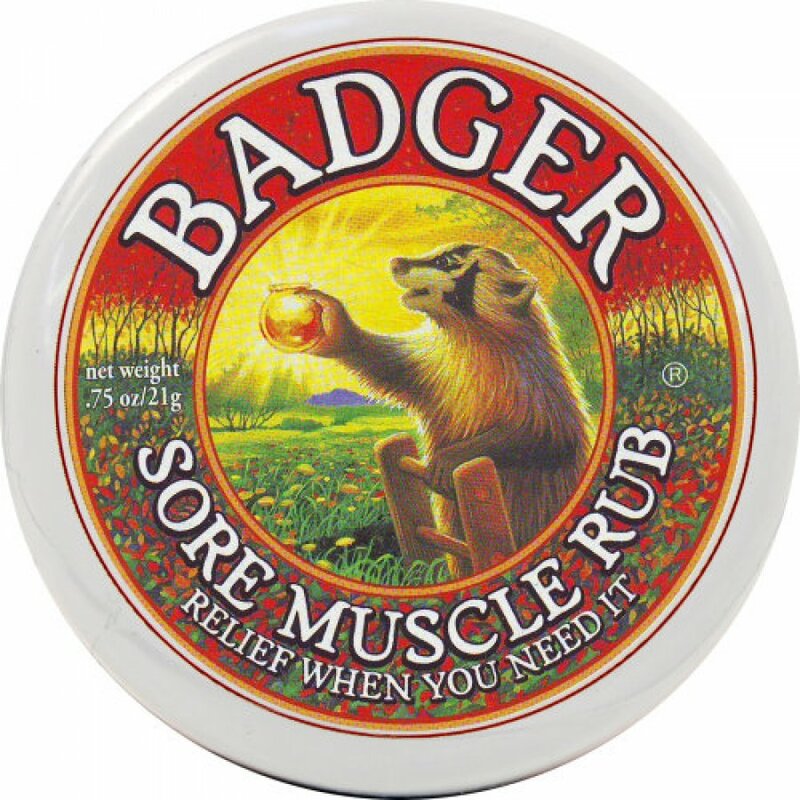 Used before physical activity Badger Balm Sore Muscle Rub helps to keep muscles and joints warm and loose as well as being great for the skin.